Brewton Plante, P.A. represents Frederick Kortum, a public adjuster, in the Florida Supreme Court | Brewton Plante, P.A. The Firm represented Frederick W. Kortum, a public adjuster licensed by the State of Florida, in seeking a declaration that Section 626.854(6), F.S., which was a provision relating to solicitation by public adjusters, was an unconstitutional prohibition on commercial free speech. 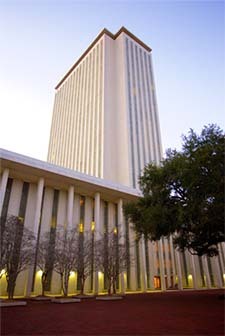 The Florida Supreme Court affirmed the First District Court of Appeal’s decision (Kortum v. Sink, 54 So.3d 1012 (Fla. 1st DCA 2010) that the statute unconstitutionally restricts the commercial speech of public adjusters. The Supreme Court utilized a four-prong test citing Central Hudson Gas & Electric Corp., v. Public Service Commission of New York to determine that the cited statute was an improper attempt to regulate commercial speech, and was unconstitutional. To read the Florida Supreme Court’s Opinion, click on Read More below. The Firm’s attorneys were Wilbur E. Brewton and Kelly B. Plante.